, huge Bedrooms + Upper loft or Study (easily converts to a 4th bedroom if needed), open concept 2 story, charmingly customized/upgraded beautifully! 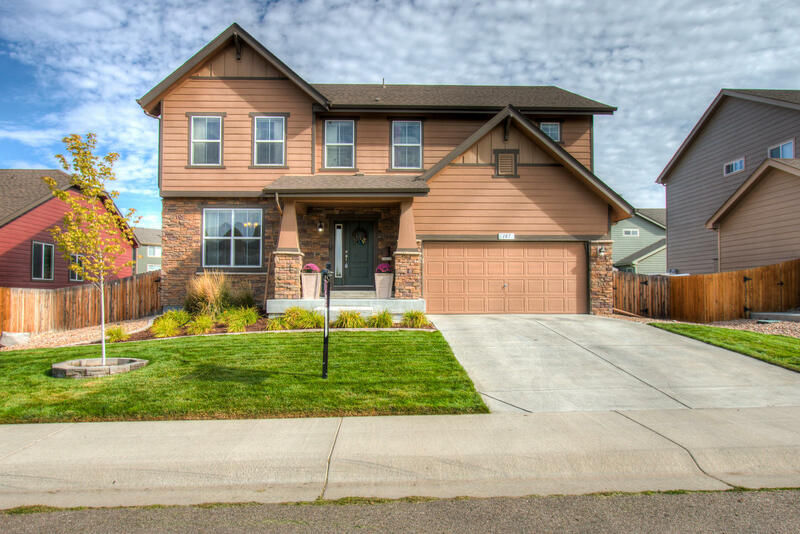 Over 2,600 finished square feet and 3,728 total square feet + Energy star 3, with 9ft walls in the full unfinished Basement with plumbing rough-in, High efficiency furnace, sealed combustion 50 gallon hot water tank - An ideal basement for finishing! Flexible design upper loft could be used for a robust office or the main floor living room/dining if one doesn’t use formal dining. Large picture windows in the cozy family room with a corner gas fireplace and built-in surround sound/ceiling speakers. 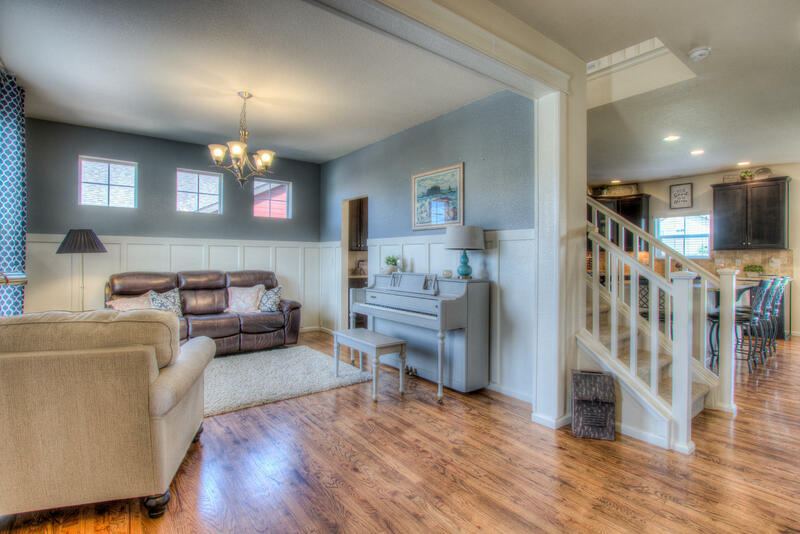 Solid hardwood flooring throughout the main level and additional built-in butler’s pantry. Step out onto the spacious 280 square foot covered patio, a perfect oasis for entertaining! Fully fenced with both front and back sprinkler system and upgraded concrete edging. A chef’s delight in the decadent Eat-in kitchen complete with all Stainless appliances, robust GAS range, large center island full height backsplash, under cabinetry lighting, 42” beautiful dark maple cabinetry with roll-out shelving, granite SLAB countertops and sub mounted sink! On the upper floor enjoy the convenience of an upper or 2nd level utility room, Spacious 3 bedrooms all outfitted with large walk-in closets! Traditional layout with a 5 piece Master Bath upgraded tile work and granite countertop, large walk-in closet and -storage galore throughout- all walk-in closets on upper level! Upper secondary bath outfitted conveniently with double sinks. Don’t miss the great views to the west from just on top of the stairs. Ideal combination – flexible open layout with the most desirable elements, south facing, 9ft walls in the basement for future finishing and resale, Energy star 3 efficient and loaded with great upgrades and customization!